Nickelodeon is making it pop once again. Recently, the network released a new trailer for the second season of their musical comedy series Make It Pop. Season two debuts on January 4th, at 7 p.m. Created by Nick Cannon and Thomas Lynch, Make It Pop follows three high school girls who form a K-Pop inspired band called XO-IQ. 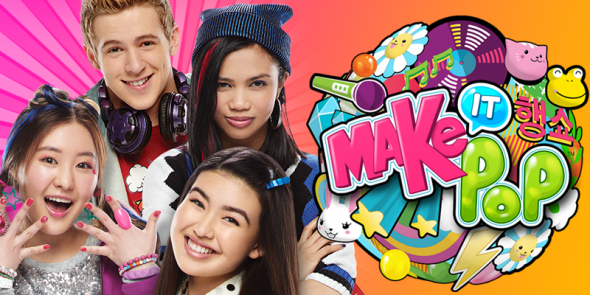 The series stars Megan Lee, Louriza Tronco, Erika Tham, and Dale Whibley as the band’s DJ, Caleb Davis. Season two will have 20 half-hour episodes and will center on the possible breaking up of the band. What do you think? Do you watch Make It Pop? Will you tune in for season two?